African and European leaders met in Valletta this week to discuss cooperation on migration and asylum. The outcome of the historic Summit is a Political Declaration, an Action Plan and a Trust Fund launched by the EU providing more than €1.8bn for implementation. With clear interests and power politics at play, the EU aims to control and limit migration. The logic of ‘more aid for less migration’ raises questions about whether the Action Plan provides the framework for a progressive governance of mobility that is sustainable and adequate for an increasingly mobile world. ECDPM’s Anna Knoll gives her reaction to this week’s #VallettaSummit in the first of a two part blog series. Linking migration to development | What’s at stake in Valletta? Migration is one powerful way out of poverty and has great potential for sustainable development. Over the years, the European Commission has – at least on paper – developed a broader and forward-looking policy framework on international migration and mobility in relation to development cooperation and its relations with third countries – including Africa. However, the current ‘crisis response’ mood in the wake of the global refugee crisis has led to more short-sighted responses with the risk to approach mobility as a burden rather than a long-term development opportunity. This dossier brings together ECDPM’s work on migration and development. 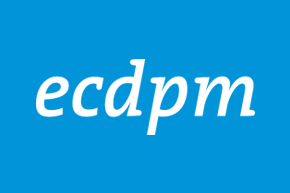 ECDPM connects its long-standing work on policy coherence, EU external action, EU-Africa relations and security and resilience with the topic of migration. LISTEN: What’s at stake in Valletta? As part of this Dossier – you can listen to our latest podcast with ECDPM’s Anna Knoll, as we ask what exactly is at stake at the Africa-EU Valletta Summit and what challenges lay ahead for the EU’s ‘Emergency Trust Fund for stability and addressing root causes of irregular migration and displaced persons in Africa. African governments have shown great enthusiasm for developing innovative ideas for financing for development. To effectively raise finance for development, however, African governments will need to create conditions for inclusive economic growth and, at the same time, improve tax policy and public financial management systems. International efforts to combat illicit financial flows can help Africa to raise the resources needed to finance its development. Ultimately though, such reforms will accomplish little without political stability and inclusion, government accountability and transparency, social protection and the availability of key infrastructure and public services. This note was prepared for an African Union meeting on financing for development being held today where ECDPM’s San Bilal will be presenting.